1998: Indonesia Gives US Warning of 9/11 Attack? No Response from CIA - The Germans consider this information “particularly valuable” and ask the CIA to track Alshehhi, but the CIA never responds until after the 9/11 attacks. The CIA decides at the time that this “Marwan” is probably an associate of bin Laden but never track him down. It is not clear why the CIA fails to act, or if they learn his last name before 9/11. [New York Times, 2/24/2004] The Germans monitor other calls between Alshehhi and Zammar, but it isn’t clear if the CIA is also told of these or not (see September 21, 1999). MI5, Britain’s domestic intelligence agency, reports, “Intelligence suggests that while [Osama bin Laden] is seeking to launch an attack inside the US, he is aware that the US will provide a tough operating environment for his organization.” [Daily Telegraph, 10/5/2009] It is unclear who this report is sent to, or what information it is based on. 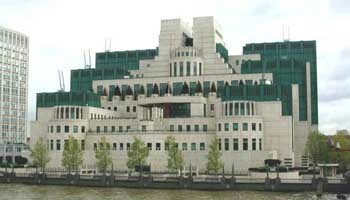 MI6, not MI5, is usually tasked with foreign intelligence. The Italian government gives the US information about possible attacks based on apartment wiretaps in the Italian city of Milan. [Fox News, 5/17/2002] Presumably, the information includes a discussion between two al-Qaeda agents talking about a “very, very secret” plan to forge documents “for the brothers who are going to the United States” (see January 24, 2001). The warning may also mention a wiretap the previous August involving one of the same people, who discussed a massive strike against the enemies of Islam involving aircraft (see August 12, 2000) and another of his monitored conversations in which he discusses travel by al-Qaeda operatives to the US (see February 2001). In 2002, the Washington Post will report, “European officials, including the German authorities, said that while they had indications in the summer of 2001 that al-Qaeda was planning a major attack, they had no specifics on what form it would take, where it would occur, or who, specifically, was involved.” [Washington Post, 6/12/2002] Other details will remain unknown, such as what other European countries besides Germany might know this. Also, it is unclear if this information is passed to the US. However, there will be other reports that in June 2001, German intelligence warns the CIA, Britain, and Israel that Middle Eastern militants are planning to hijack commercial aircraft to use as weapons to attack “American and Israeli symbols, which stand out” (see June 2001). British and French intelligence are also said to warn the US about a major al-Qaeda attack in the summer of 2001 (see July 6, 2001, July 16, 2001, Early August 2001, Late August 2001, and September 7, 2001). The Associated Press will report in May 2002, “Israeli intelligence services were aware several months before Sept. 11 that bin Laden was planning a large-scale terror attack but did not know what his targets would be, Israeli officials have said. An Israeli official, speaking on condition of anonymity, tells the Associated Press shortly after the attacks that ‘everybody knew about a heightened alert and knew that bin Laden was preparing a big attack.’ He said information was passed on to Washington but denied Israel had any concrete intelligence that could have been used to prevent the Sept. 11 attacks.” [Associated Press, 5/19/2002] The claim that Israel lacks concrete intelligence is contradicted by other media reports (see August 8-15, 2001) (see August 23, 2001) (see September 4, 2001). 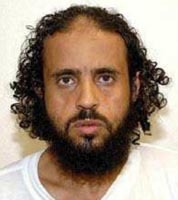 Word begins to spread within al-Qaeda that an attack against the US is imminent, according to later prison interrogations of Khalid Shaikh Mohammed. 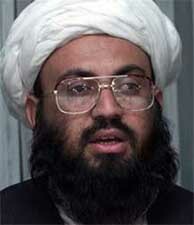 Many within al-Qaeda are aware that Mohammed has been preparing operatives to go to the US. Additionally, bin Laden makes several remarks hinting at an upcoming attack, spawning rumors throughout Muslim extremist circles worldwide. Members of the “Lackawanna Six” see bin Laden give a recorded speech at the Al Farooq camp in which he urges trainees to pray for 40 en route on a very important mission. It is not known if this is the same as the other Al Farooq speech or a separate one (see (June 2001)). In mid-June 2001, bin Laden tells training camp trainees there will be an attack in the near future. US intelligence soon learns of this (see Mid-June 2001). In June 2001, the CIA hears that Arabs in Afghanistan are said to be anticipating as many as eight celebrations, and al-Qaeda operatives are being told to await important news within days (see June 2001). John Walker Lindh learns details of the 9/11 attack despite being a Caucasian and US citizen who only recently converted to Islam (see May-June 2001). Sir Stephen Lander. [Source: Public domain]According to an officially authorized book on the MI5 published in 2009, Britain’s domestic intelligence agency, MI5, warns top British leaders that a surge in the number of reports of threat information is “sufficient to conclude that [Osama bin Laden] and those that share his agenda are currently well advanced in operational planning for a number of major attacks on Western interests.” Similar MI5 warnings about an imminent attack will continue up until 9/11, including one put out on the morning of 9/11. However, apparently none of these suggest a major attack in the US or an attack using hijacked airplanes. MI6 is Britain’s foreign intelligence agency, and presumably most information about al-Qaeda and attack threats would come from it and not MI5. In fact, MI5 appears to be much less aware of al-Qaeda at this time. 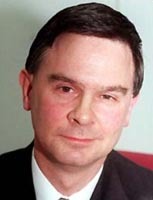 Sir Stephen Lander, director general of MI5 from 1996 to 2002, will later say that MI5 was “slow to get going” on the al-Qaeda threat because it was preoccupied with the IRA, and after 9/11 it had a “major set to, sitting around a board room table working out how to move on.” [Daily Telegraph, 10/5/2009] This warning appears similar, but not identical, to a warning 10 days later that is an analysis involving all British intelligence agencies (see July 16, 2001). 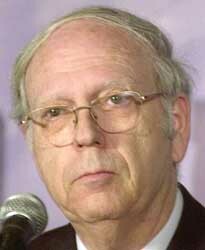 Ephraim Halevy was head of the Israeli Mossad from 1998 to 2002. [Source: Associated Press]At some point between these dates, Israel warns the US that an al-Qaeda attack is imminent. [Fox News, 5/17/2002] Reportedly, two high-ranking agents from the Mossad come to Washington and warn the FBI and CIA that from 50 to 200 terrorists have slipped into the US and are planning “a major assault on the United States.” They say indications point to a “large scale target,” and that Americans would be “very vulnerable.” They add there could be Iraqi connections to the al-Qaeda attack. [Daily Telegraph, 9/16/2001; Ottawa Citizen, 9/17/2001; Los Angeles Times, 9/20/2001] The Los Angeles Times later retracts its story after a CIA spokesperson says, “There was no such warning. Allegations that there was are complete and utter nonsense.” [Los Angeles Times, 9/21/2001] Other newspapers do not retract it. The 9/11 Commission later will note that at this time, an unnamed foreign intelligence “service report[s] that [al-Qaeda deputy leader] Abu Zubaida [is] considering mounting terrorist attacks in the United States, after postponing possible operations in Europe. No targets, timing or method of attack [are] provided.” Newsweek will suggest that most or all of this information may have come from a US debriefing of al-Qaeda bomber Ahmed Ressam in May 2001 (see May 30, 2001). Newsweek will note that it is a common occurrence for foreign intelligence agencies to “simply rereport to the CIA what it had originally learned from the FBI through separate channels.” Still, even “the multiple channels for Ressam’s warnings [do] little to change thinking within the FBI or CIA…” [Newsweek, 4/28/2005; US District Court of Eastern Virginia, 5/4/2006, pp. 6 ] However, it is possible the information could be more than a mirror of what Ressam said, since a number of Western intelligence agencies are monitoring Zubaida’s phone calls before 9/11 (see October 1998 and After). The French newspaper Le Figaro will report in late 2001 that on this day, “According to Arab diplomatic sources as well as French intelligence, very specific information [is] transmitted to the CIA with respect to terrorist attacks against American interests around the world, including on US soil.” A French intelligence report sent to the US this day “enumerates all the intelligence, and specifies that the order to attack [is] to come from Afghanistan.” [Le Figaro (Paris), 10/31/2001] It will later be revealed that Khalid Shaikh Mohammed gives Mohamed Atta the final go-ahead in a phone call from Afghanistan the day before 9/11 (see September 10, 2001). Father Jean-Marie Benjamin. [Source: Public domain]At a wedding in Todi, Italy, Father Jean-Marie Benjamin is told of a plot to attack the US and Britain using hijacked airplanes as weapons. He is not told specifics regarding time or place. He immediately passes what he knows to a judge and several politicians. He later will state, “Although I am friendly with many Muslims, I wondered why they were telling me, specifically. 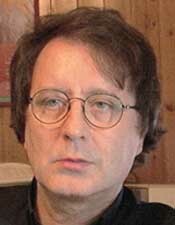 I felt it my duty to inform the Italian government.” Benjamin has been called “one of the West’s most knowledgeable experts on the Muslim world.” Two days after 9/11, he will meet with the Italian Foreign Minister on this topic. He will say he learned the attack on Britain failed at the last minute. [Zenit (Vatican), 9/16/2001] An al-Qaeda cell based in nearby Milan, Italy, appears to have had foreknowledge of the 9/11 attacks (see August 12, 2000) and (see January 24, 2001). It is not known if the Italian government warns the US government of this latest warning before 9/11. A month after 9/11, the New York Times will report: “Interpreting intercepted communications, which are cryptic and in code, and sorting through all the rumors present a formidable challenge. One intercept before the Sept. 11 attack was, according to two senior intelligence officials, the first early warning of the assault and it set off a scramble by American and other intelligence agencies. In that call, Mr. bin Laden advised his wife in Syria to come back to Afghanistan. That message, which was intercepted by the intelligence services of more than one country, was passed on to the United States, officials from three countries said.” [New York Times, 10/21/2001] Bin Laden apparently makes a similar phone call to his stepmother in Syria on September 9, 2001 (see September 9, 2001).